humankind down through the ages: questions about human nature, the meaning of life, and what happens after death. On top of all that, myths are simply great stories that are lots of fun to read. What makes a story a myth? Unlike a narrative written by a particular author, a myth is a traditional story that has been handed down Above: This clay container in the shape of a Maya god may have been used in sacred ceremonies. around them. That is why myths from different times and places can be surprisingly similar. For example, the peoples of nearly every ancient culture told stories about the creation of the world, the origins of gods and humans, the cycles of nature, and the afterlife. Mythology also served ancient cultures as instruction, inspiration, and entertainment. Traditional tales offered a way for the people of a society to express their fundamental beliefs and values and pass them down to future generations. The A giant sculpture of a high priest stands in the jungles of Guatemala. of history’s greatest civilizations. Each book opens with a brief look at the culture that created the myths, including its geographical setting, political history, government, society, and religious beliefs. Next comes the fun part: the stories themselves. We based our retellings of the myths on a variety of traditional sources. The new versions are fun and easy to read. At the same time, we have strived to remain true to the spirit of the ancient tales, preserving their magic, their mystery, and the special ways of speech and avenues of thought that made each culture unique. As you read the myths, you will come across sidebars, or text boxes, highlighting topics related to each story’s characters or themes. The sidebars in The Ancient Maya include excerpts from the Popul Vuh, a mythological history that is often called the single most important sacred text of the ancient Americas. You will find further information on this ancient text in “About the Popul Vuh” on page 89. There is lots of other useful information at the back of the book as well, including a glossary of difficult terms, suggestions for further reading, and more. Finally, the stories are illustrated with both ancient and modern paintings, drawings, sculptures, and other works of art inspired by mythology. These images can help us better understand the spirit of the myths and the way a society’s traditional tales have influenced other cultures through the ages. Now it is time to begin our adventures with the ancient Maya. We hope that you will enjoy this journey to a land where powerful gods and spirits watch over every aspect of life, from the budding of the corn to the movements of the sun, moon, and stars. Most of all, we hope that the sampling of stories and art in this book will inspire you to further explorations of the magical world of mythology. A dancer wearing an elaborate headdress takes part in a royal celebration. Palm trees thrived in the dense rain forests of Mesoamerica. shake rattles made from hollowed-out gourds at the dedication ceremony of a Maya temple. to rivers—was believed to have its own spiritual power. Mountains were especially sacred, because they were regarded as the dwelling places of gods and ancestor spirits. Caves and canyons were entranceways to the underworld kingdom known as Xibalba, or “Place of Fright.” In “One and Seven Hunahpu” on page 57, two young men disturb the gods of that dreadful realm by playing ball in a canyon. With all its natural beauty, the ancient Maya world could be unpredictable and dangerous. Volcanoes, earthquakes, and violent coastal storms could strike at any time. Months of nearly constant rainfall alternated with a long dry season, when the land withered and died. This changeable environment helped shaped the Maya’s view of the gods and their own place in the world. In “The Great Flood” on page 31, we will learn about an earlier race of humans who were wiped out by floodwaters when they failed to worship the gods. The ancient Maya might have viewed this ravine as an entrance to the grim underworld or the sacred land of the ancestors. A Maya noble and his servant celebrate a military victory. This pyramid temple in the city of Chichén Itzá was an aweinspiring setting for sacred rituals. in the far north, including the Yucatán Peninsula of Mexico, where powerful cities such as Chichén Itzá flourished. Other Maya moved to the highlands of Guatemala. Common Era) and CE (Common Era) instead of BC (Before Christ) and AD (Anno Domini) out of respect for the diversity of the world’s peoples. A Maya ruler wears the elaborate costume of a god associated with war and sacrifice. ANCIENT MAYA SOCIETY WAS DIVIDED INTO TWO CLASSES. Members of the small upper class had most of the wealth and power. Everyone else—about 90 percent of the population—belonged to the lower class. At the very top of the social order were the kings. The king of a citystate lived at the center of the capital, in an elaborate stone palace. He was the chief political leader, responsible for ensuring the security and prosperity of his subjects through trade, wars, and alliances with other city-states. He also served as the high priest of the state religion. According to ancient Maya beliefs, kings were descended from the gods. Part human and part divine, they had the power to enter the spirit world through religious rituals and ceremonies. Their communications with the supernatural powers protected the people from evil forces and maintained the very order of the universe. Especially gifted nobles might become artist-scribes, honored for their skills in reading and writing. The lower class was made up of commoners with a variety of occupations. The majority were farmers, laborers, or servants. A smaller group of more prosperous commoners may have included lower-ranking priests, government officials, merchants, soldiers, and skilled craftspeople. Regardless of their occupation, most commoners lived in simple adobe (mud-brick) homes on the outskirts of cities or in farming villages. They had to pay tribute to the king in the form of labor and products. Maya society was dominated by men. Women were generally expected to marry and devote themselves to their roles as wives and mothers. However, women of all classes enjoyed considerable respect and authority within their homes. Ancient Maya art shows that some upper-class women were educated as scribes. The wives and mothers of kings also played an important part in some religious ceremonies. A mother carries her young child on her back. Opposite page: This head of a seventhcentury CE king displays the prominent nose and sloping forehead that were the Maya ideal of beauty. The image of a bearded sun god decorates an incense burner discovered in the Maya city of Palenque. A stone figure called a chacmool holds a bowl for sacrificial offerings. presided over death, war, sacrifice, and the underworld. In this book we will meet the head rulers of the underworld, two grim lords known as One Death and Seven Death. Departed rulers return from the underworld to celebrate the rise of a new king. counted them off against the days of the calendar. The foretelling was based on the special meaning of the day that was reached when the lots ran out. The Maya calendars also determined the dates for a continuous round of religious ceremonies. Public ceremonies were usually conducted outside the temples built at the top of magnificent stone pyramids. Crowds flocked to the plaza below the pyramid during these grand spectacles. They watched as brightly costumed priests and kings worshipped the gods through music, dancing, processions, rituals, and offerings. Maya religious offerings included gifts of food, drink, and sacrificial birds and animals. The greatest gift of all was human blood. Nobles, priests, and kings offered their blood to the gods by cutting their tongues, lips, cheeks, and other body parts. During very important ceremonies, the Maya performed human sacrifices. Most sacrificial victims were high-ranking nobles captured in war. The Maya believed that their gifts of blood nourished the gods and ensured the continued existence of the world. A Maya noble performs an extreme sacrifice, offering his lifeblood to nourish the gods. Opposite: Divine hands bestow the gift of water, in a painting by Mexican artist Diego Rivera. Previous page: This Rivera painting is called Pareja Indigena, or Native Couple. a small group of Quiché nobles secretly re-created it. The anonymous writers recorded the narrative in the Quiché language, using an alphabetic spelling system adapted from Spanish. Many years later, their manuscript was discovered and translated into other languages. The Popul Vuh became our single most important source of ancient Maya mythology. The myths in this book are based on the Popul Vuh’s account of the origins and early history of the world. We begin at the beginning, with the creation of the world and the first creatures. According to this ancient tale, the Maya creator gods had a hard time making a proper population for the earth. Their first three attempts—the animals, a people made from mud, and a people made from wood—were disappointing failures. The gods’ struggles give us an insight into the ancient Maya’s view of their place in the world. 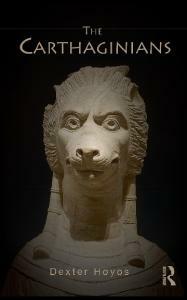 The creatures of earlier ages had to be destroyed because they did not know how to worship their creators. Only by praising the gods and nourishing them with sacrifices could the people of the present world survive and prosper. The Plumed Serpent was adorned with precious quetzal feathers. Lush rain forests covered the newly created earth. The first birds frolicked in the sky, trees, and waters. The gods sent dreadful demons to punish the faithless wooden people. could hit us when we begged for food. Now it is your turn to be eaten!” The desperate wooden people ran out from their homes, into the driving rainstorm. They scrambled up on their roofs, but their houses washed away in the great flood. They climbed the trees, but the branches threw them back to the ground. They tried to hide in the caves, but the stone mouths slammed shut in their faces. And so the people made from wood were crushed and drowned and scattered. Only a few survived the wrath of the creators. Those few were transformed into monkeys. Today their descendants still scamper through the forests, a reminder of the wooden people who forgot their creators. The LIGHT of HISTORY The Spanish conquerors of Mesoamerica were determined to wipe out the people’s traditional religious beliefs. The Quiché Maya nobles who wrote down the Popul Vuh had to work in secrecy in order to protect themselves from punishment. In this introduction to their text, the anonymous writers explain that they must “hide their faces” as they record their people’s ancient stories amid the preaching of the new religion, Christianity. Above: The gods create the first man from mud, in a Diego Rivera painting inspired by the Popul Vuh. Here we shall write and we shall begin the old stories, the beginning and the origin of all that was done in the town of the Quiché, by the tribes of the Quiché nation. And here we shall set forth the revelation, the declaration, and the narration of all that was hidden. . . . And [at the same time] the declaration, the combined narration of the Grandmother and the Grandfather, whose names are Xpiyacoc, and Xmucane, helpers and protectors, twice grandmother, twice grandfather, so called in the Quiché chronicles. Then we shall tell all that they did in the light of existence, in the light of history. This we shall write now under the Law of God and Christianity; we shall bring it to light because now the Popol Vuh, as it is called, cannot be seen any more, in which was clearly seen the coming from the other side of the sea and the narration of our obscurity, and our life was clearly seen. There is the original book and ancient writing, but he who reads and ponders it hides his face. Vucub Caquix was the mythical ancestor of these brightly colored scarlet macaws. destroy this boastful imposter before the real sun could rise and the age of true humans could begin. For help in this important mission, they turned to their grandparents Xpiyacoc and Xmucane, the wise old couple who advised the creator gods in our first story. The myth of the Hero Twins and Seven Macaw is a warning against the dangers of vanity and arrogance. It also explains a puzzling feature of the night sky. When the bird-god dies, his spirit becomes the seven bright stars of the Big Dipper. In the southern homeland of the ancient Maya, those stars disappear in mid-July, around the start of the rainy season. The Maya associated the setting of the Big Dipper with the downfall of Seven Macaw. “Here am I: I am the sun,” said Seven Macaw. “Oh, very well. I can’t bear the pain any longer! Yank them out!” said Seven Macaw. So Grandfather and Grandmother cured Seven Macaw’s toothache. They pulled out every one of the beautiful teeth that glittered with turquoise and jewels. As replacements they put in kernels of soft white corn. The bird’s cheeks caved in, and his mouth lost all its splendor. Next the healers cured Seven Macaw’s eyes. They trimmed away the silver rings that had made the bird’s eyes shine so brightly. As they worked, their foolish patient felt no pain, no suspicion. He simply sat there as the last of his finery was taken from him, just as the clever twins Hunahpu and Xbalanque had intended. Now Seven Macaw no longer looked or felt like a lord. Without the gems and metals that had given him his glory, he was nothing. He quickly wasted away and died. His spirit rose into the northern sky, where it became the seven stars of the Big Dipper. When Chimalmat died, she joined her husband in the sky as the Little Dipper. The spirit of the shining bird-god was transformed into seven bright stars. dants of Seven Macaw still live on the earth. They are the noisy red birds known as scarlet macaws. The white circles around their eyes and their odd toothless jaws remind us of the fall of their arrogant ancestor. And what about the Hero Twins? When Seven Macaw died, Grandmother and Grandfather retrieved Hunahpu’s arm from its spot above the fire. They put the arm back in place, and the break healed perfectly. Zipacna and Earthquake THE DEFEAT OF SEVEN MACAW WAS NOT THE END OF the Hero Twins’ fight against evil. The heroic tricksters still had to deal with the bird-god’s sons, Zipacna and Cabracan. Zipacna was a crocodile-like giant who had the power to make mountains. He falsely claimed to have created the earth itself, as well as the mountains. Cabracan, whose name means “Earthquake,” delighted in knocking down his brother’s mountains. He inflated his powers by boasting that he could destroy the sky and earth. The arrogance of these two pretenders offended the creator gods and upset the proper order of the universe. To rid the world of the giants, the creators turned to Hunahpu and Xbalanque, the Hero Twins. First the boy-gods lured Zipacna into a cave, where he was trapped and turned to stone. Then they tricked Earthquake by casting a magic spell on his dinner. They shot a bird and baked it in a coating of earth. When the giant ate the enchanted meal, he was doomed to end up covered by earth himself. Opposite: The rolling hills and mountains were created by the boastful giant Zipacna. The Hero Twins’ victory over Zipacna and Earthquake once again reminds us of the perils of false pride. Like their father, the two giants sealed their fate when they dared to proclaim themselves equal to the gods. While Seven Macaw rose into the sky after his death, his sons were buried safely beneath the earth. From time to time, though, Cabracan could still cause trouble. It was his movements in the grave that brought the earthquakes that shook the Maya world. tains. I can bring down the sky and destroy the earth with avalanches!” bragged Earthquake. Zipacna looked like a crocodile as he lurked in the shallow water. just like a crocodile. “What are you doing?” the Hero Twins asked. “I’m hunting for my food, boys,” replied the giant. “What do you eat?” “Fish and crabs. But it has been two days since I found any. I can hardly stand the hunger.” “Well, there is that crab down in the cave. It’s a really big one! We wanted to catch it, but we were afraid we’d get bitten.” “Don’t be so timid, boys,” said the giant. “Come along and point out this splendid crab to me.” So Hunahpu and Xbalanque led Zipacna back along the river. They came to the foot of the great western mountain. The giant looked into the cave and saw the gleaming shell of the crab. “Very good,” he said. “That will cure my hunger!” Zipacna entered the cave. He wriggled in on his back until only his kneecaps were showing, but he still couldn’t reach the big, tempting crab. He took a deep breath and squeezed in a bit farther. When he let out his breath, he was wedged in tight. He couldn’t turn over. He couldn’t get back out. The weight of the great mountain lay on his chest until Zipacna himself turned to stone. they cast a powerful spell on it. “This is the one we must give to the giant when he gets hungry,” they whispered. “In earth we will cook it. In earth will be his grave. When he eats this bird, we will have our victory.” Then Hunahpu and Xbalanque set the meal over the fire. The plump, juicy flesh roasted over the crackling flames. Soon the birds were brown and tender, and the air was filled with an irresistible aroma. Earthquake sniffed. His giant mouth watered. When he spoke, he sprayed the boys with his spittle. “What are you The Hero Twins covered the bird with earth and baked it over the fire. cooking there? I smell something truly delicious! Please give me a little taste of it!” So they gave the earth-covered bird to Earthquake. The moment he took his first bite, he was as good as defeated. The greedy giant ate the whole thing, flesh and bones and coating. When he was finished, he licked his greasy fingers. Then the three travelers continued on their journey. They walked all the way to the foot of the great eastern mountain. The giant gazed up at the mountain. Too late he realized that he had lost all the strength in his arms and legs. He could not destroy the mountain. He could not even resist when the Hero Twins bound him. The boy-gods tied the giant’s hands behind his back. They tied his ankles to his wrists. Then they dug a deep hole and buried him alive, with a heap of earth as his covering. So it was that the Hero Twins defeated the sons of Seven Macaw, who had claimed to be as great as the creators. To this day Zipacna rests beneath the mountain in the west, and his younger brother lies buried in the east. From time to time, Earthquake shifts restlessly in his grave. That is when the surface of the earth shakes and the mountains tremble. The FOUR HUNDRED BOYS The Popul Vuh illustrates Zipacna’s destructive power with a story about a group of gods known as the Four Hundred Boys. The Four Hundred Boys were the gods of alcohol and drunkenness. Alarmed by Zipacna’s great strength, they decided to kill him before he could harm them. In the following passage, the giant is digging a hole when they drop a log on him. He survives the attack by hiding in a side tunnel. Later he climbs out and drops their house on them. Following their deaths, the boy-gods become the Pleiades, a group of bright stars that the Quiché Maya call Motz (“four hundred”). When [the Four Hundred Boys] had dug a hole, one that went deep, they called for Zipacna: “We’re asking you to please go on digging out the dirt. We can’t go on,” he was told. “Very well,” he replied. After that he went down in the hole. them were completely flattened. . . .
separate hole to one side, he dug a second hole for safety. . . . Meanwhile, a big log is being dragged along by the boys. Such was the death of those Four Hundred Boys. And it used to be said that they entered a constellation, named Motz after them. Above: The Four Hundred Boys became the glittering cluster of stars known as the Pleiades. game was part entertainment, part religious spectacle. In this stone carving, a ballplayer throws a rubber ball shaped like a turtle. world, where she gave birth to One Hunahpu’s sons, the boy-gods who would become known as the Hero Twins. The adventures of One and Seven Hunahpu give us a window into some of the ancient Maya’s ideas about death and sacrifice. Despite its grim name, Xibalba was usually seen more as a place of rest than fright. Just as the two brothers had to overcome a series of obstacles during their descent to Xibalba, the souls of people who died faced many difficult trials on their journey to a peaceful afterlife. After death One Hunahpu’s head still had enough sacred power to father the Hero Twins. This reflects the ancient Maya’s belief in the life-giving power of blood and sacrifice. According to this view, the death of a sacrificial victim was not an ending but a transformation that created new life out of old. One and Seven Hunahpu followed the treacherous path down to Xibalba. “Then you are finished, too. This very day you will die.” So the brothers were taken to the ball court of Xibalba. There they were sacrificed and buried. Before burying the bodies, the lords cut off the head of One Hunahpu. They placed the head in the fork of a dead tree, as a token of their victory. All of a sudden, the tree began to bear fruit. Soon it was covered with large, round, hard-shelled calabash. When One and Seven Death saw the miraculous tree, they were worried. They passed a decree: “Let no one go beneath the calabash tree. Let no one pick its fruit.” One maiden would defy that decree. Her name was Blood Woman, and her act of disobedience would mean doom for the lords of Xibalba. The demon lords forced the brothers to endure a series of challenges. father was repulsive. She also had a rebellious nature. When she heard about the forbidden calabash tree, she just had to see it for herself. The maiden went all alone to the ball court of Xibalba. There she saw the amazing calabash tree. “These fruit should be picked,” she said. “Their sweetness is going to waste.” Suddenly a voice came from the tree: “If you want the fruit, stretch out your right hand.” Blood Woman reached out her hand to the speaking calabash. The fruit spit in her palm. When she pulled back her hand, she found that the palm was dry. Then she heard the voice again, and when she looked, the fruit had turned into a gruesome skull. “Do not be afraid,” said the skull. “My spittle is a sign that I have given you. When a man dies, the flesh leaves his skull, but he does not disappear. His substance lives on in his sons and daughters. So it is that I will live through you.” Blood Woman returned home. She kept everything that she had seen and heard secret in her heart. Six months passed, and her belly grew big with the child that had been placed in her through the spittle of The severed head of One Hunahpu spit into Blood Woman’s hand. The owls . . . took the maiden by the hand, bringing along the White Dagger, the instrument of sacrifice. -Popul Vuh her away and sacrifice her. Bring back her heart in this bowl, so that all the lords will know she is dead.” So the owls led Blood Woman away. But before they could sacrifice her, the maiden spoke to them: “Do not kill me, messengers! What I bear in my belly is no disgrace, but the child of One Hunahpu. It was begotten when I went to marvel at the calabash tree.” “We do not want to kill you,” said the owls, “but we were told to bring your heart to the lords of Xibalba.” “My heart does not belong to them,” said the maiden. Then she gathered up the thick red sap of the croton tree. She shaped the sap into a round ball that looked just like a heart. When she rolled the ball around in the bowl, it formed a bright red coating that glistened like blood. The owls took the bowl to the council place. The lords of Xibalba placed the fake heart over the sacrificial fire. They leaned over the fire and breathed in the fragrance. The smoke of the blood was truly sweet! While the lords savored their sacrifice, the owls helped Blood Woman escape from Xibalba. They sent her up through a hole, onto the surface of the earth. The maiden went to the house of Xmucane, mother of One and Seven Hunahpu. “Your sons are not dead. Their light lives on in the children I carry,” the maiden told the old woman. The owls did not want to kill Blood Woman. “Very well, if you are my daughter-in-law, prove it! Make yourself useful. Go to the garden and fill this carrying net with corn.” Blood Woman took the net and went to the garden. There was only one maize plant, bearing one ear of corn. “Unfortunate me!” she exclaimed. “Where will I get the food that my mother-in-law asked for?” In her despair the maiden called on the goddesses who watch over the growing crops: Come thou, rise up, come thou, stand up. Generous Woman, Harvest Woman, Cacao Woman, Cornmeal Woman, Thou guardians of the food! Then Blood Woman took hold of the silken tassels at the top of the corn. The ear came away in her hand, and another one took its place. Again and again she pulled on the silk. Again and again another ear appeared. Soon the big net was filled with corn. When the maiden returned with the load of corn, Xmucane was amazed. The old woman went to look at the garden. She saw the one stalk of corn still standing. At the foot of the stalk was the imprint that the net had left in the soil. Grandmother Xmucane was a skilled diviner. She knew that the mark of the net was a sign that One Hunahpu would rise again. “You really are my daughter-in-law!” she said to the maiden. “I will soon see my grandchildren, and they will fulfill a great destiny.” So Blood Woman stayed with Xmucane until the day came for the birth of the children. They were born in the mountains, on the day called Net. Two boys were born, and they were named Hunahpu and Xbalanque, the Hero Twins. The ears of corn gathered by Blood Woman would be used to make tortillas and other good foods. Playing Ball with the Lords of Xibalba ONE AND SEVEN HUNAHPU HAD FAILED IN THEIR struggle against the gods of Xibalba. Through their defeat, however, they had paved the way for the triumph of the Hero Twins. After some childhood adventures, these remarkable boys discovered the ball-playing equipment hidden by their father and uncle. With that discovery they realized their destiny: to challenge the lords of death. Like One and Seven Hunahpu, the Hero Twins traveled down to Opposite: the underworld. Through a combination of cleverness and magic, they passed the tests that their father and uncle had failed. They also survived a number of other trials, including a ball game against the lords of death. Then the boy-gods tricked their opponents into submitting to sacrifice. With this clever feat, the Hero Twins conquered death itself. Following their victory, they rose into the sky, where they became the sun and the full moon (or, in some versions of the story, the sun and the planet Venus). The kneeling man in this temple painting is a prisoner of war. Like the Hero Twins, war captives were often sacrificed at the ball court. game the losing players were beheaded. These sacrifices honored the gods of life and fertility and celebrated the Hero Twins’ victory over death. proved their special qualities by vanquishing their half brothers, One Monkey and One Artisan. The older boys were the firstborn sons of One Hunahpu. They were jealous of their younger brothers and treated them cruelly. The twins got even by tricking their brothers into climbing a tall tree, then turning them into monkeys. When they got older, Hunahpu and Xbalanque decided to plant a garden. They took up their ax and hoe and went out into the forest. They stuck the ax in the trunk of a tree, and it cut down the tree by itself. They stuck the hoe in the ground, and it began to dig up the weeds and brambles. In just one day, the ax and hoe cleared the ground and made it ready for planting. The next morning Hunahpu and Xbalanque returned to the clearing. Every tree, bush, and weed had grown up high again! The twins had to start all over. Just as before, their tools cleared the forest and prepared the ground for the garden. That night the brothers hid behind some trees and kept watch. In the middle of the night, they saw animals creep into the clearing. Small and All but the rat escaped into the forest. great, the creatures gathered: pumas, jaguars, deer, rabbits, foxes, coyotes, little birds, large birds. They began to chant: “Arise, you trees! Arise, you bushes!” Their magical chant made all the plants grow again. Ever since the rat’s tail got caught, there’s been no hair on his tail. Hunahpu and Xbalanque were overjoyed when they heard the rat’s story. They set him free, promising that from that day on, he would always have his share of the stored crops. Then they went to their grandmother’s house and found the gaming equipment. They took the gear to the ball court at Great Abyss, where One and Seven Hunahpu had once played. After that the Hero Twins practiced every day, until they were even greater players than their father and uncle before them. The demons played ball with a human skull that concealed a lethal dagger. and peeked out. Whoosh! A bat swooped down and bit off his head! The demons rejoiced as they rolled the head of Hunahpu onto the ball court. Meanwhile, Xbalanque was busy. He found a squash and carved it into the shape of a head. He called on Huracan, and the great god came down from the sky and filled the hollow squash with brains. Then Xbalanque placed the carving on his brother’s shoulders. Day was just about to dawn when the Hero Twins arrived at the ball court. The demons were surprised to see Hunahpu walking about again, but they were sure they could beat a player with a squash for a head. “We’ve won! One of the sharptoothed bats inside Bat House snatched off Hunahpu’s head. lords of Xibalba intended. “You can’t fool us,” they said cheerfully. “Watch!” Then they jumped into the fiery pit and died together. All the demon lords whistled and shouted: “At last we have overcome them!” When the fire died down, they took the boys’ bones and crushed them on a grinding stone. They sprinkled the ground bones in the river. Then they held a fiesta to celebrate their triumph over the Hero Twins. days later, Hunahpu and Xbalanque reappeared. Disguised as wandering performers, they presented themselves at the court of Xibalba. They sang and danced and performed magic tricks. Their best trick was the human sacrifice. Hunahpu lay down on the sacrificial stone. Xbalanque cut open his brother’s chest and took out the heart. “Get up!” he said, and instantly Hunahpu came back to life. The lords of Xibalba applauded wildly when they saw the amazing trick. They longed to try it themselves. “Do it to us! Sacrifice us!” One and Seven Death shouted. “Very well, your lordships. After all, what do you have to fear from death?” And the Hero Twins sacrificed One and Seven Death. But this time the sacrifice was for real. The two lords did not come back to life. The Hero Twins tricked the lords of Xibalba into offering themselves for sacrifice. The two boys . . . ascended straight on into the sky, and the sun belongs to one and the moon to the other. became the sun, and the other became the full moon. And it was light on the face of the earth, as the sun rose for the first time. Xbalanque, simply as a way for their grandmother to remember them. The People of Corn T HE MYTH THAT CONCLUDES THE POPUL VUH TAKES US back in time once again. As the story begins, the Hero Twins have defeated the lords of Xibalba but have not yet risen into the sky. Although the world is still dark, the boy-gods’ victories have made it a safer place for human habitation. This means that the creator gods Huracan and Gucumatz can return to the problem of making human beings. Their earlier efforts—the people made from mud and from wood—were failures. This time they use corn to make a new race of humans. The first four men they create will become the forefathers of the Quiché people. As the Quiché multiply, they adopt Tohil as their special patron and protector. This ancient Maya god of fire was a form of the creator god Huracan. Under Tohil’s guidance, the people begin a long migration to their promised homeland. During their journey, they witness the rising of Venus the morning star, followed by the first sunrise. Opposite: According to Maya mythology, the first true people were made from corn. The story of the creation of the Quiché people highlights the importance of corn to the ancient Maya. Corn was the Maya’s main food crop, essential to their survival. It was also a sacred symbol of life and an object of worship. It is not surprising that the creator gods This statue from the Maya city of Copán shows the corn god as a beautiful young man, with his hair forming the corn silk. chose to make the first true humans from this vital food. The myth also explains the origins of a number of ancient Maya rituals and customs. Tohil is the source of the first fire, which he creates by spinning on his heel. The Maya made sparks for fire by spinning a stick called a fire drill against a wooden platform. In addition, Tohil is responsible for starting the practice of blood sacrifice. When a freezing storm hits, the god refuses to give fire to the people of other tribes until they agree to allow themselves to be “suckled.” Unfortunately for the Maya’s enemies, being “suckled” by Tohil meant having their sides cut open and their hearts offered in sacrifice. Xmucane ground the corn into meal, just like a woman making tortillas. We have been given our mouths, our faces. We speak, we hear, we think, we walk. We have seen what is great and small. We understand what is far and near. We give you thanks, Our Creator and Maker! When the gods heard the song, they were troubled. Perhaps their creations were too perfect. The humans could see everything in the world. They could stand in one place and observe all the trees, rocks, lakes, seas, and mountains. And with their perfect vision came perfect understanding. They were blinded as the face of a mirror is breathed upon. means of seeing and knowing everything. “Now let them multiply,” said the creators. “Let humans flourish on the face of the earth.” Then the gods created four truly beautiful women to become the wives of the first men. They made Celebrated Seahorse for Jaguar Quitze, Prawn House for Jaguar Night, Hummingbird House for Mahucutah, and Macaw House for True Jaguar. It was as if the men had been asleep before these four women were created. With their wives by their sides, they became truly awake and happy. The women would go on to become great ladies. They would give birth to the people who would found all the houses, small and great. And together the first fathers and mothers were the root of the Quiché people. faces to the sky and asked the gods to send the light of morning. For the sun had not yet risen, and all the creatures of the earth still wandered about in the twilight. In time the people grew weary of waiting for the dawn. They decided to go to the holy city of Tulan Zuyua. Countless people from many different tribes made the journey. When they arrived in the city, the gods were given out in order, one to each great house or tribe. Tohil, lord of fire, went to the leading Quiché families. Now the Quiché had a patron god to watch over them and a sacred image to honor with sacrifices. It was cold at Tulan, before the rising of the sun. Tohil gave the people the gift of fire to keep them warm. One day a great hailstorm put out all the fires. The Quiché prayed to their god: “Help us, Tohil. We shall die of the cold.” “Do not worry,” said Tohil. Then the god pivoted inside his sandal and started a fire. Now the Quiché were warm, but the people of the other tribes were freezing. Their arms and legs were shaking. Their teeth were chattering. Doubled over in pain, they presented themselves to Jaguar Quitze and the other lords. “Take pity on us,” they said. “Let us have a little something from your fire.” “The fire belongs to Tohil. You must promise him something in return for his gift,” said the Quiché lords. “We will give him whatever he asks for,” the tribes answered. “When the time comes, you must embrace him. You must allow him to suckle you on your sides, under your arms.” “Very well,” said the shivering people, and they received their fire. The god of fire became the special protector of the Quiché people. They did not know that they were already defeated. In the days to come, the Quiché would subdue all the other tribes. Then the priests would cut open the people on their sides, under their arms, and offer their hearts to Tohil. After the people had lived at Tulan for some time, Tohil spoke to the Quiché lords: “Our home is not here. Let us go on to the place where we belong.” So the people placed the image of Tohil in a wooden frame borne on the back of Jaguar Quitze. They gave thanks to their god with their blood, passing cords through their Quiché warriors would raid enemy villages to capture prisoners for sacrifice. When the sun had risen just a short distance he was like a person. their wings and broke into song. On the top of the mountain, the Quiché people danced and burned their incense. In the midst of their joy, they remembered the people of other tribes, who witnessed the dawn in faraway places. There were countless tribes, scattered all over the land, but there was just one dawn for all the people. In the years to come, the Quiché would move farther east, to their true homeland. There they would become a great nation, conquering many tribes and taking many people for sacrifice. The descendants of the first fathers would rule over the land in fiery splendor. For twelve generations the Quiché lords would rule, until the coming of the Spaniards. Blood Woman, and the Hero Twins—move in and out of the underworld realm of Xibalba. Their movements are linked with the cycles of the sun, moon, stars, and planets. For example, the descent of One and Seven Hunahpu to the underworld corresponds to the time when Venus dips below the eastern horizon. When One Hunahpu is killed, his head is placed in a tree, representing the reappearance of Venus as the evening star. After the Spanish conquered the Quiché in 1524, they destroyed all known copies of the Popul Vuh. Sometime in the 1550s, an anonymous group of Quiché nobles secretly reconstructed the ancient text. The nobles probably worked from their memories of oral performances of the Popul Vuh. Instead of using the hieroglyphics of the original codex, they wrote in an alphabetic spelling system that had been developed by Spanish priests. Through their efforts, a form of writing created for the publishing of Christian literature in Maya languages helped preserve the people’s ancient religious beliefs for future generations. Around 1700 a young Spanish priest named Francisco Ximénez came across a copy of the nobles’ manuscript. By that time, Spain’s fervor for stamping out the ancient religions of Mesoamerica had faded. Ximénez made a copy of the text and also translated it into Spanish. The Quiché manuscript later disappeared, but the priest’s copy survived. The Popul Vuh has since been translated into a number of languages, including French, German, English, and Japanese. Today it is regarded as the most complete source of the ancient myths not only of the Maya but of any Mesoamerican people. To f i n d o u t m o r e books Dalal, Anita. Myths of Pre-Columbian America. Austin, TX: Raintree SteckVaughn, 2001. Faiella, Graham. Mesoamerican Mythology. New York: Rosen, 2006. Jones, David M. Mythology of the Aztecs and Maya. London: Southwater, 2003. Laughton, Timothy. The Maya: Life, Myth, and Art. New York: Barnes and Noble Books, 2004. Menchú, Rigoberta, and Dante Liano. The Honey Jar. Translated by David Unger. Toronto, Canada: Groundwood Books, 2006. Perl, Lila. The Ancient Maya. New York: Scholastic, 2005. Schuman, Michael A. Mayan and Aztec Mythology. Berkeley Heights, NJ: Enslow, 2001. West, David. Mesoamerican Myths. Graphic Mythology series. New York: Rosen, 2006. web sites The Big Myth at http://www.mythicjourneys.org/bigmyth The Big Myth uses narration and flash animation to tell the creation stories of twenty-five cultures, including the Maya. You’ll need to download Shockwave to view this entertaining site, which was developed for use in primary schools in Europe. Encyclopedia Mythica: Maya Mythology at http://www.pantheon.org/areas/mythology/americas/maya This online encyclopedia offers more than 125 brief articles on Maya gods, goddesses, giants, demons, and other mythological beings. The Gods of Mayan Mythology at http://www.godchecker.com/pantheon/mayan-mythology.php Godchecker is an online encyclopedia with a great sense of humor. The site includes a brief introduction to Maya mythology plus lively articles on more than one hundred gods and goddesses. 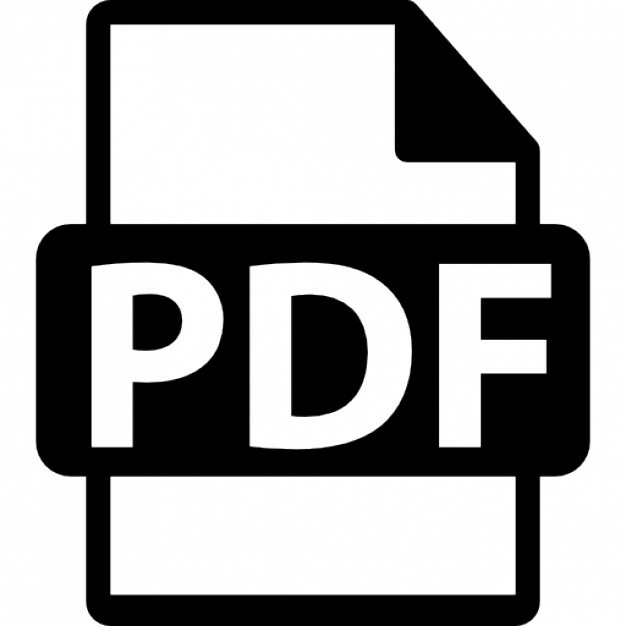 Internet Sacred Text Archive: Popul Vuh at http://www.sacred-texts.com/nam/maya/index.htm The Internet Sacred Text Archive is an online library of texts on religion, mythology, and related topics, which have been scanned from the original books and articles. The site includes several texts by and about the Maya. Mayan Kids at http://www.mayankids.com/mkintro.htm This colorful site offers information on a wide variety of topics related to Maya history, culture, daily life, and beliefs. Nice features include a glossary, clip art, and an assortment of interactive games. s e l e c t e d b i b l i o gr a p h y Allan, Tony. Gods of Sun and Sacrifice: Aztec and Maya Myth. London: Duncan Baird, 1997. Ferguson, Diana. Tales of the Plumed Serpent: Aztec, Inca and Mayan Myths. London: Collins and Brown, 2000. 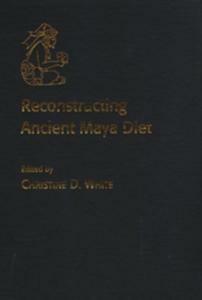 Foster, Lynn V. Handbook to Life in the Ancient Maya World. New York: Facts on File, 2002. León-Portilla, Miguel. Pre-Columbian Literatures of Mexico. Norman, OK: University of Oklahoma Press, 1969. Markman, Roberta H., and Peter T. Markman. The Flayed God: Mesoamerican Mythological Tradition. San Francisco, CA: Harper San Francisco, 1992. Nicholson, Irene. Mexican and Central American Mythology. New York: Peter Bedrick, 1987. Phillips, Charles. The Aztec and Maya World. London: Lorenz Books, 2005. ———. The Mythology of the Aztec and Maya. London: Southwater, 2006. Read, Kay Almere, and Jason J. González. Handbook of Mesoamerican Mythology. Santa Barbara, CA: ABC-CLIO, 2000. Roberts, Timothy R. Gods of the Maya, Aztecs, and Incas. New York: MetroBooks, 1996. Sharer, Robert J. Daily Life in Maya Civilization. Westport, CT: Greenwood Press, 1996. Taube, Karl. Aztec and Maya Myths. Austin: University of Texas Press, 1993. Tedlock, Dennis, trans. Popul Vuh. New York: Simon and Schuster, 1985.
n o t e s o n q u o ta t i o n s Quoted passages in sidebars come from the following sources: “The Light of History,” page 38, from The Book of the People: Popul Vuh, translated by Delia Goetz and Sylvanus Griswold Morley (Los Angeles: Plantin Press, 1954) at http://www.sacred-texts.com/nam/ maya/pvgm/pv08.htm, and from Popul Vuh, translated by Dennis Tedlock (New York: Simon and Schuster, 1985). “The Four Hundred Boys,” page 55, and “The Blessing of the Corn,” page 77, from Popul Vuh, translated by Dennis Tedlock (New York: Simon and Schuster, 1985). about the author “I can’t think of a better way to learn about the people of ancient cultures than by reading the stories that held their deepest hopes and fears, their most cherished values and beliefs. While collecting these sacred tales, I looked for the elements that set each culture apart: the special music of the language, the differing roles of men and women, the unique ways of interpreting the mysteries of life. I also enjoyed discovering the many feelings and experiences that unite all peoples around the world, both past and present. Pueblo storyteller Harold Littlebird said it best: ‘We know we all come from story. They may not all be the same story but there is a sameness. There is a oneness in it all.’ ” VIRGINIA SCHOMP has written more than seventy titles for young readers on topics including dinosaurs, dolphins, occupations, American history, and ancient cultures. Ms. Schomp earned a Bachelor of Arts degree in English Literature from Penn State University. She lives in the Catskill Mountain region of New York with her husband, Richard, and their son, Chip. Report "The Ancient Maya (Myths of the World)"